Themis in mythology is a Titan gifted with a legislative power. As child of Uranus and Gaia, Themis is meant to be the protector of law on sky and earth punishing any infringement thereon. Contractor of the project is the University of Crete - Natural History Museum of Crete and the partners are, SYGAPEZ, the Greek Nature Protection Society (EEPF), the Bar Association of Chania as well as the Heraklion Bar Association. The need to implement the aforesaid project arose after finding that prosecutors and interrogative authorities are not familiar with the competencies and the protection status of the protected areas. • The skills cultivation of interrogative clerks in preventing and effectively prosecuting environmental crime and taking on the best possible compensation for damage to the environment. • The documentation that the correct application of environmental law promotes local development and social cohesion and ensures the sound use of environmental resources. 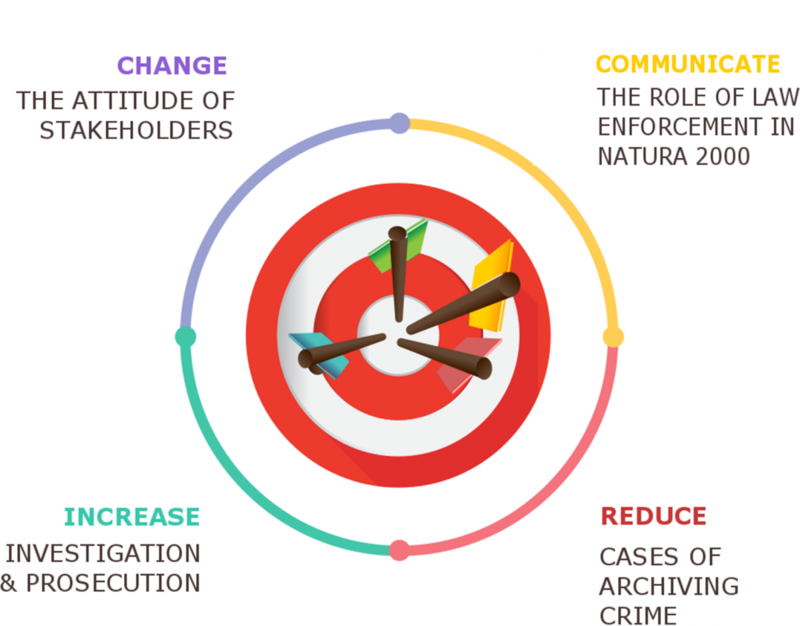 • The NATURA 2000 sites inhabitants information about illegal activity in their areas, affecting local development, social cohesion and economic progress. The realization of these objectives is based on the primary material first time gathered in cooperation with the competent authorities, by the two observatories of Environmental Crime. The material is publicly available, on the official website of the project. The environmental crime map and the interrogation authorities’ guides are intended to facilitate the planning and the conducting of criminal prosecution.